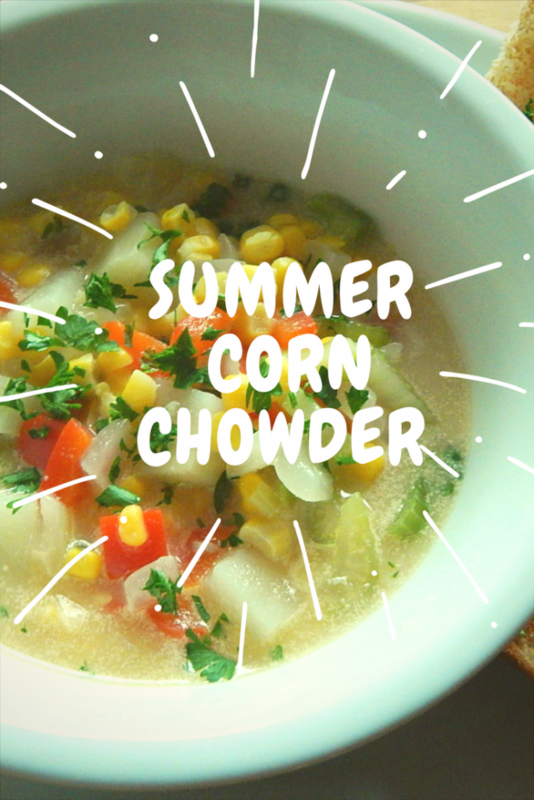 Summer corn chowder is something I look forward to every year. I love going to the farmer’s markets to stock up on all of the sweet corn. 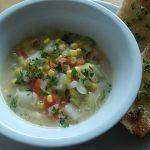 It is great to eat right off the cob, but I love it just as much in this chowder. The fresh corn is the key to this recipe. You can use frozen, but it just doesn’t have as much flavor. 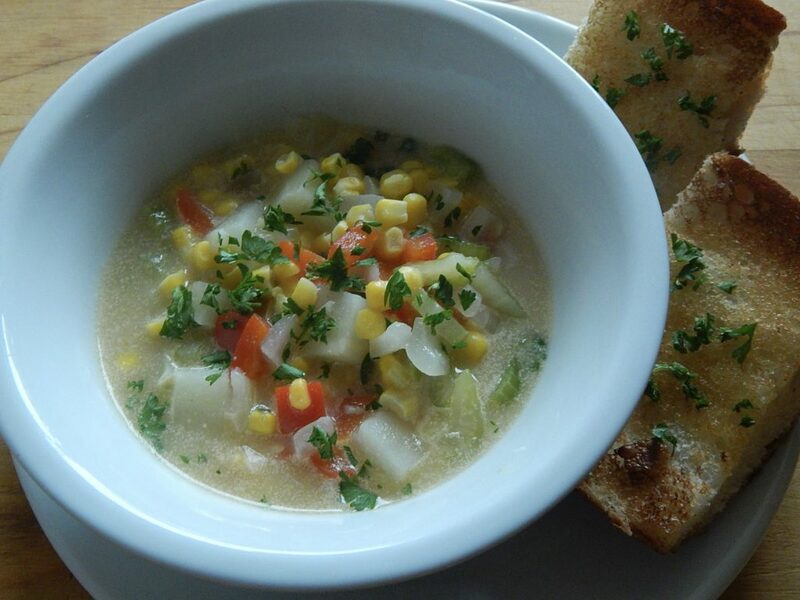 For this chowder I used red peppers, but you can change up what goes into it. Zucchini is great in this recipe as well. I use almond milk when I make this, but you can use your favorite nondairy milk. Coconut milk might change the flavor quite a bit though. Heat the oil and butter in a large pot over medium heat. Add in the diced onion, diced celery, diced pepper and diced potatoes. 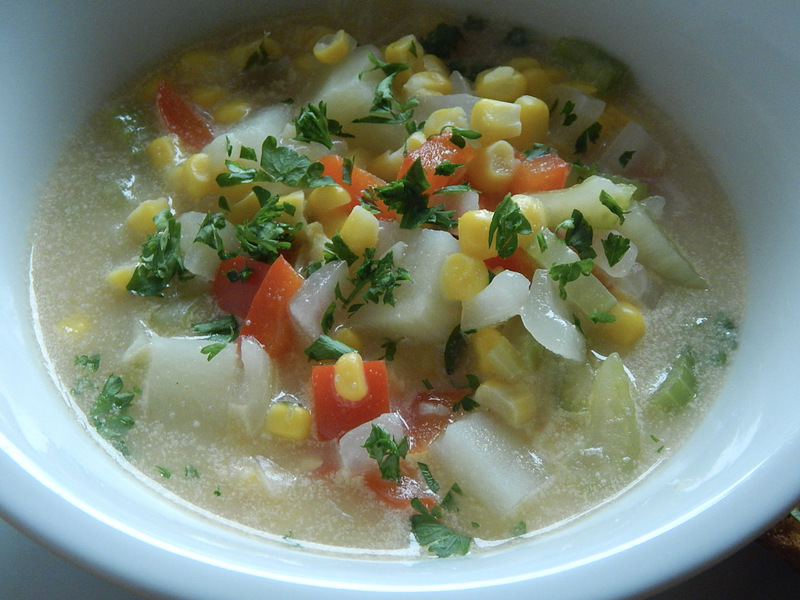 Cook the vegetables for about 10 minutes stirring occasionally until they just begin to soften. While the vegetables are cooking cut the corm kernels off the cob. Add the corn, garlic, thyme, salt and pepper into the pot and cook for a couple of minutes. Add in the flour and stir to coat the vegetables. Cook for another 2-3 minutes. Add the vegetable broth into the pot with the vegetables and bring it to a boil. Once it begins to thicken turn it down to a simmer and add in the milk. Simmer the chowder for another 10 minutes.